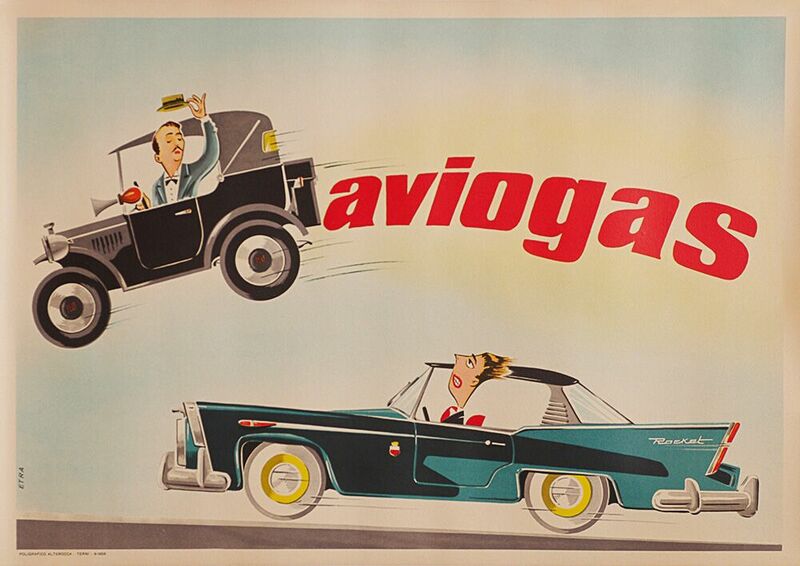 This mid-century poster touting the quality of Aviogas make me grin every time I get a look at it. Printed in Italy. I was able to find an American advert selling this petrol in the states as well as Europe.